Here’s an example of how you can use Keyboard Maestro to create bookmarks that use dynamic components. 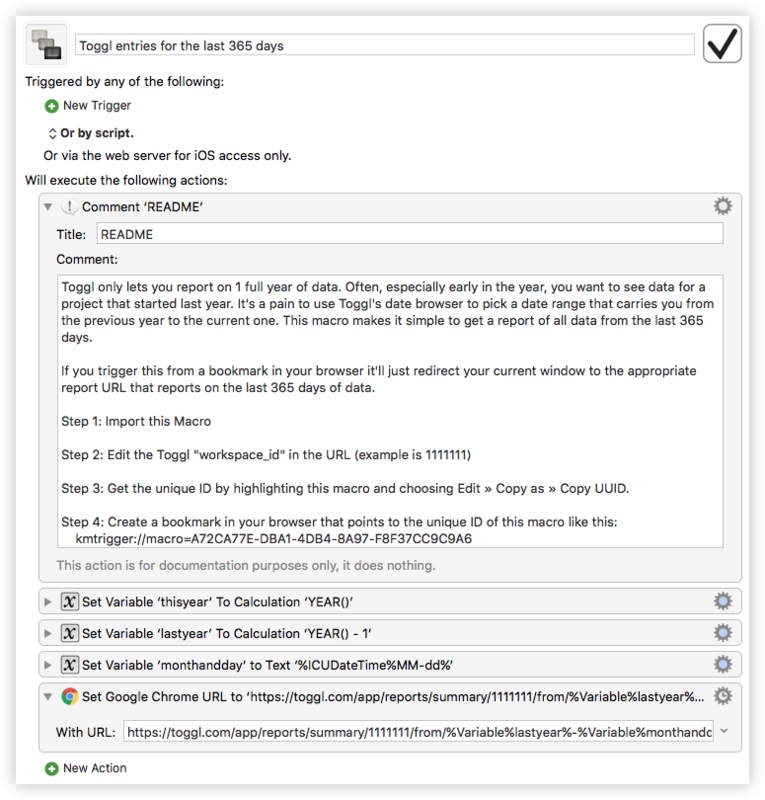 For this example I wanted to create a bookmark that would give me the correct URL to get a report of the last 365 days of Toggl time entries. Toggl lets you pass a start date and an end date in the URL. Using KM it’s easy to replace those values with calculated date values. 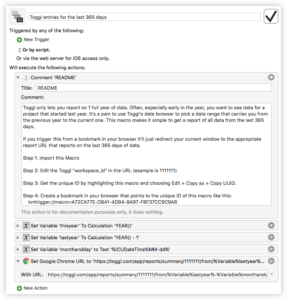 Click the screenshot at the right to see the macro, which I’ve also provided here: Toggl entries for the last 365 days.kmmacros. Step 3: Get the unique ID by highlighting this macro and choosing Edit » Copy as » Copy UUID. When you click the bookmark it is instantaneous. You cannot open the bookmark in a new tab (cmd-click on a Mac) or window, so open a fresh tab if you don’t want to lose whatever page you’re on when you click the bookmark.